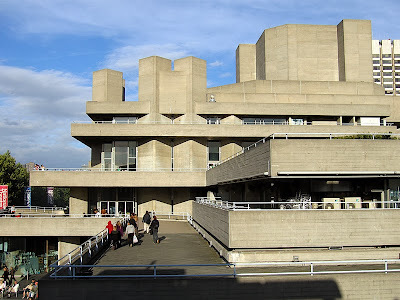 Early in my stay in London, Cathy and I attended a performance of Shakespeare's Othello at the Royal National Theatre. 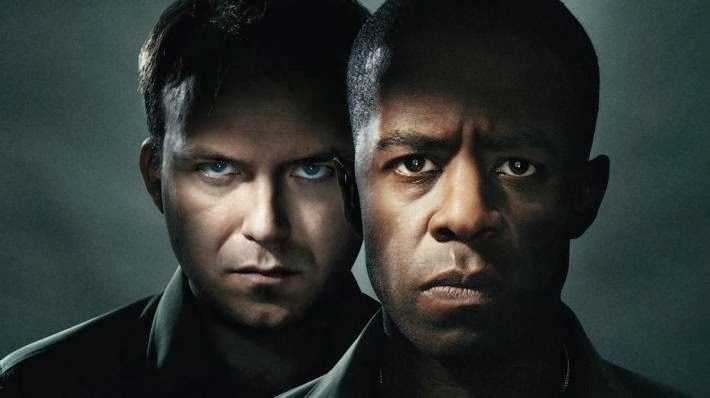 Adrian Lester and Rory Kinnear gave the best live performances of Othello and Iago that I have seen. 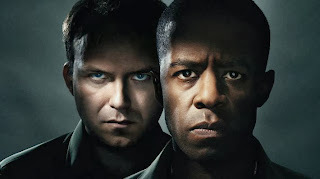 Mind, I haven't seen many major live performances of Othello, but of those I have seen, the two actors were the best, truly outstanding. The reviewers agree with me, but most do not note the performances of Olivia Vinall and Lyndsey Marshal as Desdemona and Emilia, both of whom I thought were splendid in the supporting roles. Of the review I read, only London Theatre gives the women a mention. Messrs Lester and Kinnear really do provide an inspired and mesmerising pairing, but there is plenty of great support especially from Olivia Vinall as a beautifully frail, and innocent Desdemona, and Lyndsey Marshal is extremely impressive as Emilia especially at the end of the play as she becomes both distraught and enraged when her mistress is killed. We had dinner with friends in the Mezzanine Restaurant in the theater before the play for an altogether enjoyable evening. Image of the theatre from Wikipedia.